Before MH I had little interest in fashion dolls. The only dolls I collected were small dolls like SSC. Then MH came along and it was colorful and fun and just so different from any fashion dolls that came before. And while MH was out I was happy as a clam. Not only because MH but because all the other similarly colorful playline dolls that came out. 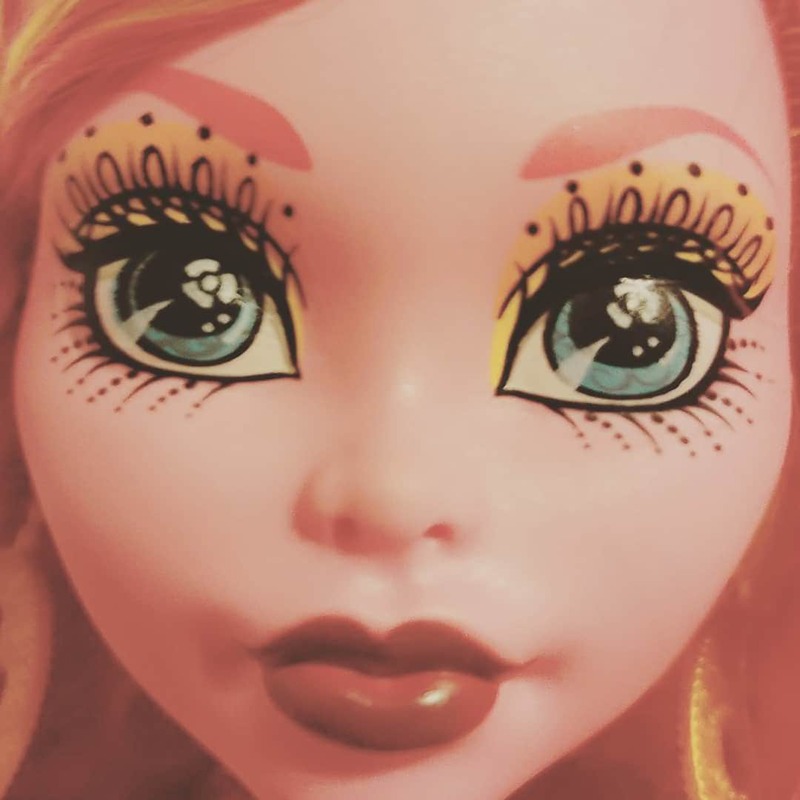 Now fast forward to today and while I'm loving all the fun small dolls out there I can't help but say I feel bored with current playline fashion dolls. I want to like the new Equestria Girls but all I see are the basic Mane 6 and I prefer more over the top looks. The DC and Marvel doll lines are great too but neither one has had a line that was over the top enough yet. Even the Dollar store dolls have become bland. Anyone else? Same. Other than a few new Shibajuku Girls, I have zero interest in current playline offerings. I miss all the excitement, the hunt, and the deals! I've been focusing on BJDs these days instead, but it's not as fun. Both of our grandmothers collected porcelain dolls, and always tried to get my sister and into it but we never liked them. They're just there and blank faced and not appealing to us. 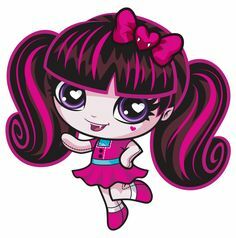 I would occasionally buy Barbies before Monster High, but I was never a big Barbie collector, I would just get ones I liked. Monster High definitely changed that, with their unique looks and awesome clothes and many, many joints. I don't recall every having seen a doll like that before, though I had heard of ball joint dolls but I never looked into them because they were far too expensive. It also got my sister and I accustomed to going to the toy aisles of stores and looking more instead of just browsing to waste time as everyone else shopped. But now the toy aisles are definitely a shell of what they were a few years ago. Our Shoppies section is vanishing, though my sister isn't near as interested in them as she was. Enchantimals have a small section, as does Boxy Girls and a few Descendants. For the most part, our doll aisle as it was is no more. It's mostly Barbie, Calico Critters, and the Harry Potter merchandise and dolls. I'm not sure it's just dolls, toys in general just aren't doing much of anything. Surprise toys and interactive pets are really what's popular right now. I know because I actively collect a few lines and when they first come out they often sell out fast. Even the blind bag interest seems to be waning though, at least around here. They don't zoom off the shelf nearly as fast. I don't even think the Hairdorables have been touched, but then they're far too costly for a complete mystery. I think the only thing that's been noticeably bought are the mystery Harry Potter wands and Polly Pocket. The TRU liquidation didn't help things either. A lot of parents bought stuff on the cheap to stockpile it away. I think it might be a rough year for toys. Hadn't thought of that, though I don't know how many people from here went to the one in Tallahassee when it closed. I wouldn't be surprised if many people made the trip, though. People do love deals, after all. Yeah, it hasn't been very exciting this year for me. The only things I've kinda looked forward to were the new Sparkle Girlz outfits, and some of the Fashionistas. I've actually been focusing more on expanding my Takara/TakaraTomy Jenny collection and have gotten about many interesting dolls in the process. I also started getting more into small dolls like Dawn and Pippa. Polly Pocket's return has helped some, too. They're not that interesting, but it's great to see them back on shelves. I am definitely bored with the current selection of dolls. Beside Barbie Fashionistas and Shoppies, there are no dolls that I collect in the toy aisle. And it seems that these days the overall quality of the few dolls there are have decreased, even as the price increases. Even with notoriously expensive dolls like American Girl, their prices went up and their quality went down. For example, I remember that the entire collection of the 2011 Girl of the Year doll was, when you bought it all at the same time, $479 for fifteen items (which is still CRAZY expensive!). Now, the 2018 Girl of the Year's collection adds up to $898 for thirteen items! (I did the math! ) And the items in the 2011 collection were so much better, at least in my opinion! There hasn't been much dolly stuff in stores lately that interests me. I guess at least I'm saving money. I have the Dolly blues and bad. Can't seem to shake it off. I just can't get interested in dolls anymore after the end of MH. I do get occasional Star Wars FoD if I like the character (even though they succeeded in the art of hybrids, I have difficulties accepting the hybrid-ness of them as I rather them be fashion dolls than action figures), I've liked some of the made to move, curvy and tall barbies though none enough to actually buy one. I think that most of the Marvel Rising dolls have potential but I loose interest in them as quick as it comes. Haven't gotten any. Pullips, Obitsu, DD or any other bjd are not for me. I love admiring them. I really do. But I don't know what they have that I don't feel compel to have my own ones. I don't like blind bags. I like buying what I want and not leaving it to luck, and not any single doll has interest me as to manage an exchange or ebay direct buy. I like Hot Toys, but aside my Joker (which was a gift), I don't feel the need to get any other for myself. I love the world of Harry Potter, but it seems I don't love the dolls of them at all. Not because I don't like them or I don't think the resemblance is accurate or they are not beautiful. I just don't need them. I just can't get into dolls anymore, unless it's an old MH or EAH release that I missed. I still feel sad every time I wonder through the toys aisle of the stores. I see what's left of MH, EAH and SHG fading away and I just can't see any other doll lines. Me too.. I remember all the good times back with Mh and Eah.. Now I don't even buy barbie because she just doesn't interest me as much. Shopkins little secrets have been great as they remind me of my childhood with polly pocket, but other than that nothing catches my eye anymore. I've even started selling my collection off and only holding on to those I love. I just.. Don't "feel" the dolls in the market. 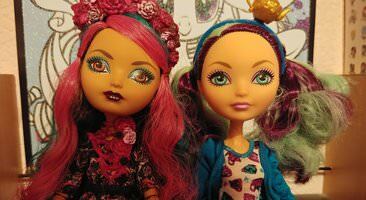 At first I thought its maybe I grew out of dolls, but I realise I still love those I have, so it must be that the toy market is not as enticing right now. I actually saved enough money to buy my first 17inch limited edition disney doll ariel(I think she's from 2013?) I'm thinking of collecting some other LE dolls from that time like maybe rapunzel and aurora.. (I wasn't able to afford them back then since Mh and Eah took up majority of my money haha) Might as well save the money and invest in a good quality dolls from the past.